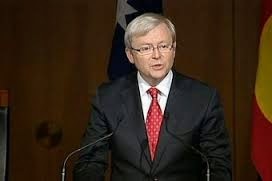 Nearly five years ago the Prime Minister of Australia gave an apology on behalf of the nation to the people we called The Forgotten Australians and former child migrants. 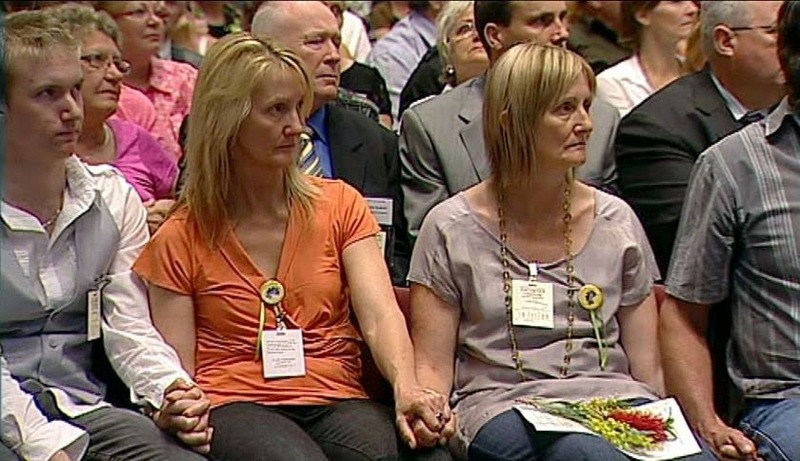 These were people who were removed from their mothers at birth because their mothers were unmarried, or were removed from their homes in the UK because they were displaced from their families after the war, or their families were persuaded that their kids would have a far better life in Australia. Barnardos Homes and the Fairbridge Foundation were the big players in overseeing the settlement of such children in Australia. Many of these children grew up believing they were orphaned when in fact they were not. Some were adopted into new families. 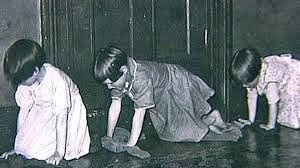 Others lived in orphanage-like institutions in which many of them experienced terrible things. I find it very hard to imagine how alone such a child would have felt. I guess there are a number of situations in life where people can feel desolated and alone in a way that almost paralyses them. Maybe this is how those Disciples of Jesus felt before they apprehended and understood the Resurrection. The Disciple whom Jesus loved – John – writes his Gospel some 60 or so years after the death of Jesus and he is very keen to remind all his readers that Jesus made certain promises to his followers that meant they should never feel like that. The promise is rendered in the Good News Bible as “When I go, you will not be left alone.” In the NIV renders it “I will not leave you as orphans.” Being an orphan can be an extreme form of being alone – and it can lead some into a sense of despair. Just a chapter earlier in John’s story, Jesus says that the hour has come for him to depart from this world and join his Father. In the context of this kind of familial language the idea of not being orphaned is filled with meaning. In going to meet his own Father, Jesus knows that some of his friends will feel abandoned, and so he prepares them by saying that the loss ahead of them will not be the final ending that it appears to be. This section of John’s Gospel is not just a word of comfort, of course. Jesus often seems to link words of comfort with some form of critique. Just as we might be developing the idea of resting in the everlasting arms of that holy embrace, Jesus goes on to tell us what love actually is. Contrary to modern ideas, love is not a feeling. Love is not a mood or a magic spell under which we sometimes fall. Love is something related to action. "Those who accept my commandments and obey them are the ones who love me.” It is as if Jesus is saying that we will not be left orphaned, but we will be adopted into his family, and there we will all live by god’s rule of love. It is perhaps worth noting that I Jesus’ day becoming an orphan was not a psychological issue. Rather it was a life and death issue because by it most would be thrust into abject poverty. Jesus is saying, then that he is offering us all a way of LIFE. And we are called to pass it on. Jesus will not leave us orphaned, but we are called to a radical way of loving by which no one is orphaned – by God, or by humans. And we can do this to others, even though they are not our children, by leaving them without our help in a time of need. As we have been embraced by Jesus and God, whom are we called to fold in loving and protective arms? The way this is all possible is through the gift of the Father and the Son to us all – “another helper,” he says, “who will be with you always – the spirit, who reveals the truth about God.” We may feel like we are very inadequate for this “loving“ of others we are called to do, but Jesus reassures us that the Spirit will be our helper. It is the Spirit’s work to EMPOWER us for the ACTION of LOVE. We will have more to say about this in a couple of weeks. Let us for now be reassured by these promises – we will not be left alone as orphans; indeed we will receive another Helper, the Spirit of God, by which we can know that God is always with us.